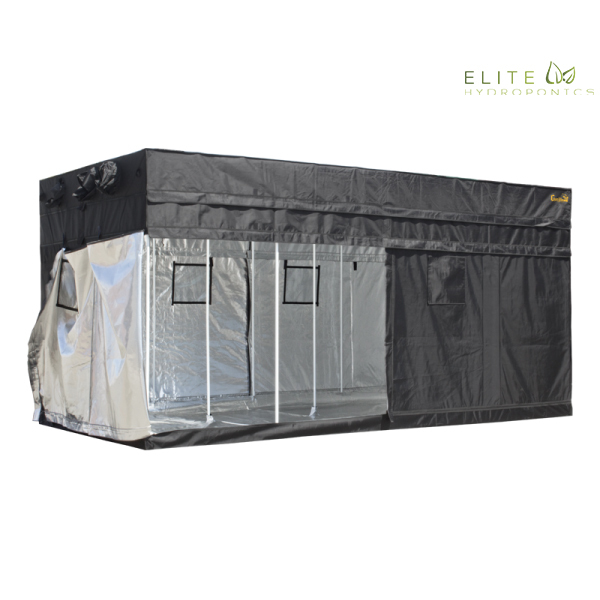 The Oasis grow tent system is perfect for those looking for a high quality, luxurious grow system with plenty of room to grow large plants. 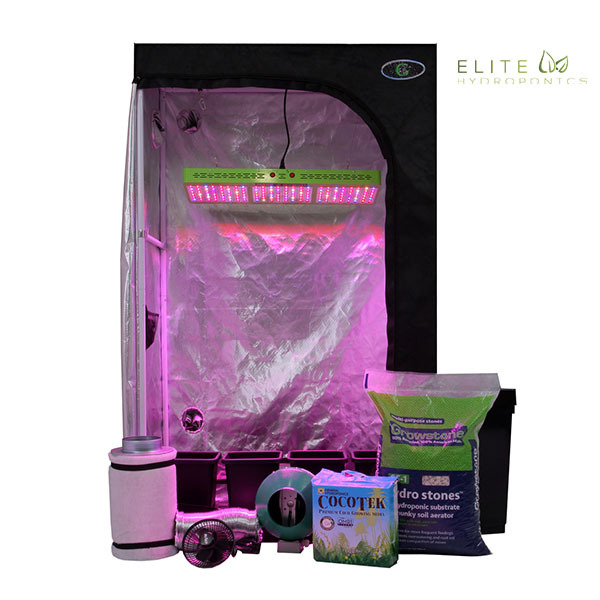 The Oasis grow tent system is perfect for those looking for a high quality, luxurious grow system with plenty of room to grow large plants. The Oasis has the best pricing in the industry and comes with free shipping, unlimited tech support, and 3 year warranty. Note: We use very high quality tents. 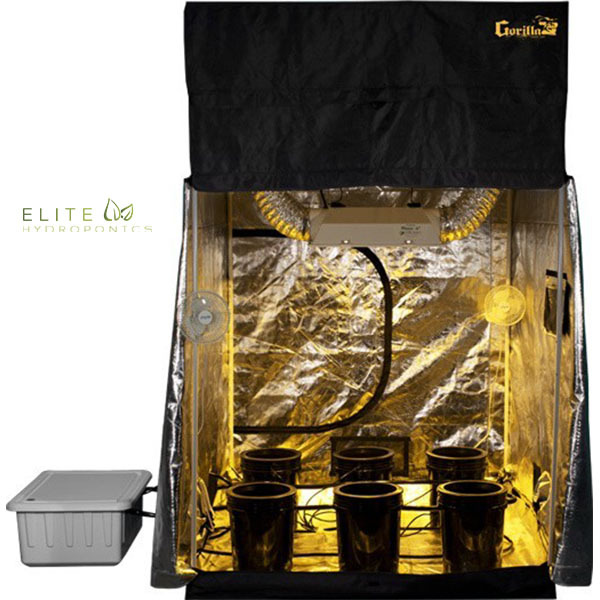 See Galaxy Grow Tent specs. The 4-pot system is a gravity fed watering system which requires no power, pumps or timers to operate. 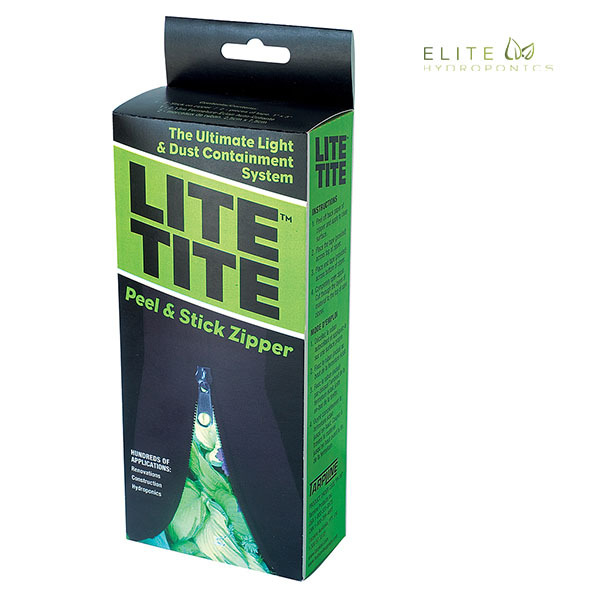 It is extremely versatile and caters for gardeners and growers of all abilities guaranteeing great results. Once set up and reservoir is filled with water and liquid feed, this adaptable, unfailing system will completely take care of all your plants needs with minimal monitoring. A breakthrough, high-performance hydroponic growing media specifically engineered for a balanced air-to-water ratio. GS-1 Hydro Stones deliver 67 percent more water retention and 12 percent more aeration than clay pebbles. The sustainable, earth-friendly media are made from 100 percent recycled glass and are 100 percent American-made. Coco Coir organic growing medium consists of different types of compressed coco coir. This high-quality, low sodium growing medium is an environmentally-friendly alternative to sphagnum peat moss. When hydrated with water, Coco Coir rapidly expands, saving time and effort. Coco Coir growing mediums can be blended together or mixed with expanded clay pellets, perlite or topsoil. The 4-inch, 171-cubic-feet-per-minute Inline Fan quietly and efficiently ensures airflow in indoor gardens. They have powder coated steel housing encases a motor with automatic thermal overload protection. It includes a 120-volt prewired power cord and mounting hardware for easy installation. 5W brush-less motor for longer life. Energy efficient, low voltage. Ultra-quiet operation. Lifetime Support via phone or email. 2. Pro Co2 XL bucket to increase production speed by up to 20%.